We have been comparing answers around the Washington beltway to the question “Can I get a divorce if neither I nor my spouse has moved from the marital home?” It is time to take a look at the District of Columbia. 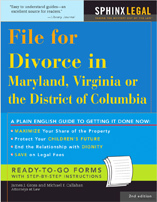 Obtaining a divorce on separation grounds without moving out of the same household is not a problem in the District of Columbia. There are no reported cases in DC where a divorce has been denied on separation grounds because neither spouse has moved out of the joint residence. Also there is no corroboration requirement so those difficulties are not present. The Superior Court is the only trial court so there is no possibility of varying interpretation between different circuit courts as there can be in Maryland and Virginia.